Barter Books : Bray, Gerald [ed.] 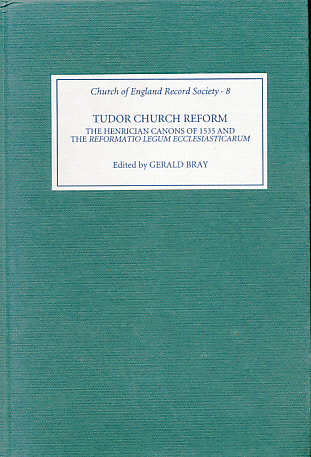 : Tudor Church Reform. The Henrician Canons of 1535 and the Reformatio Legum Ecclesiasticarum. Church of England Record Society 8. 240 x 160 mm (9 x 6 inches) - clx; 892pp.